People called him The Doll Maker. Nobody ever wondered aloud why every doll had the same face. She was called Christina. Flowing jet black hair, sparkling amber eyes and skin the color of polished ebony. She stood with one hip cocked to the side, dressed in a loose white shirt with a blue floral pattern on it and dark jeans. One manicured hand rested on her hip, the other bent in front of her, a gold chained purse dangling from the crook of her elbow. Christina was one of several, lining a small shelf in Anton’s studio. Anton had molded her out of clay, just like the others she shared the shelf with. Countless hours had been devoted to refining every feature, giving her eyes just the right shape, her lips the right fullness. Anton agonized over the paint, making sure to pick just the right shades and tones to really bring her to life. Anton had been making dolls for over a decade, and was a minor celebrity in his town. Fans and admirers just called him The Doll Maker; he doubted many of them even knew his real name. He was beloved for his lifelike clay figurines, each one so different from the one that preceded it. Except, that wasn’t really the case. Under all the layers of detail, the meticulously tailored clothing and the finely crafted accessories, each doll had the exact same face. The same heart shape, large oval-shaped eyes, upturned nose and pillowy lips. Complexions and hairstyles varied, as did the outfits. He would sculpt a pale blonde in a flowing dress one day and a tanned redhead in a tank top and cargos on another. Yet they would look eerily alike, like an actress dressing up for different roles. Everyone knew the dolls looked the same, but nobody questioned it. Perhaps that was the limit of Anton’s ability, or maybe he just liked how the face looked. It wasn’t a big concern. The dolls were still beautiful and lifelike, and people were always fascinated to see a new one in the window of Anton’s studio. All of the dolls were for sale and were purchased by children and adults alike. Christina would soon be put on display to be admired and eventually sold. Anton just had to apply a few finishing touches. She was placed into a small wooden box, which he tucked under his arm. He flipped the ‘Closed’ sign on his studio door, locked it and went into the backroom. Anton kept most of his supplies there. The room was overflowing with shelves of fabrics, fake hair and paint. Behind one row of shelves, there was a hatch built into the floor. 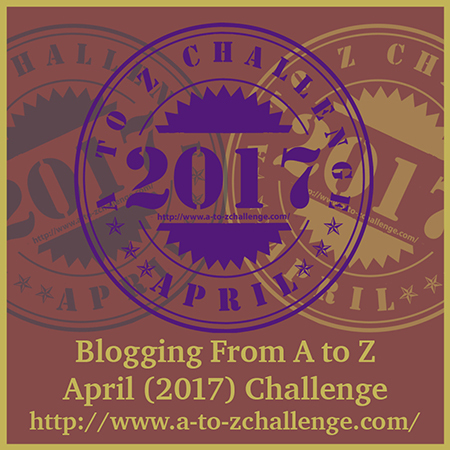 Anton lifted it to reveal a stone staircase leading down to a darkened cellar. He lit the sconces placed along the walls, illuminating the small room. It was empty, except for a large framed picture hanging one the far wall with a makeshift altar set up under it. Anton placed the box on the altar and took Christina out, resting her on both palms, his arms stretched toward the portrait on the wall. It was the portrait of a woman, done in hues of gold and rust and bone. She had a look of defiance in her large oval eyes, nostrils flared. Her lips were full, but pressed tightly together. She was the spitting image of Christina and every doll in Anton’s workshop and in the homes of several inhabitants of the neighborhood. Anton closed his eyes and chanted under his breath. He opened them again and looked at the woman, who floated out of the painting, growing smaller as she approached his hands. She stood on his fingertips, the same size as Christina, then lay down on top of the doll and was absorbed into the clay. Anton uttered another chant. When he looked up, the woman was staring down at him, as she always did. He put Christina back in the box, blew out the flickering flames in the sconces and made his way back up the stairs. Christina would be placed on the shelf by the window, where she was bound to attract someone’s fancy the next day. Another gushing admirer and another satisfied customer. Anton would write the buyer’s name down in the special notebook he kept under the counter to keep track of his customers. Only two more dolls had to be sold to complete the pact and grant her passage to the mortal realm. The fragments of her essence that rested inside the dolls would drain the life of the doll owners, transferring it all to her and making her whole again. And Anton would be ready to welcome her, a humble servant and dedicated worshiper. He smiled and picked up a lump of clay, molding it to form a heart-shaped face. A socially awkward girl in her early teens is a latchkey kid, alone at home after school as usual. Flipping through channels she lands on one she soon realizes only she can see—and it’s from the future. Carly plopped down on the couch, remote in one hand and a tub of microwave popcorn in the other. It was her regular weekday routine after school. And her weekend routine. Carly spent a lot of time by herself, usually in front of the TV or her laptop or her tablet. She didn’t have many friends. Actually, she had just one, Edith, who was sick with the flu. Her parent weren’t around much, either. Carly’s dad was an investment banker. She didn’t really understand the specifics of what that meant, but she did know that he was hardly ever home and the only time she saw him not wearing a dark suit was in old photographs. Her mother had her own catering business, which meant that she had the luxury of working for home if she wanted to. But she didn’t. For the most part, Carly only saw her parents for dinner, but sometimes not both on the same night. She didn’t mind, though. She liked spending time by herself. It gave her time to think and gave her imagination free rein to run free. Carly was an artist, or so she liked to tell herself. Whenever class got too boring, she would start doodling in her textbooks, lost in her own world. That’s how it was at home, too, and luckily, she didn’t have the distraction of parents or siblings to deal with. She did as she pleased, which really just amounted to lazing around and designing comic book characters. Carly had wanted to make a comic book since she was eight. Six years later, it was still a distant dream. A pale young man in a gray shirt runs past a clump of dark trees, trying to outrun the shadow chasing him. A white haired girl screams right into the camera. An unseen crowd erupts into laughter as a middle aged man in a blue sweater stammers his way through an apology to his thin, mean-looking wife. Another crowd, visible this time, applauding as a young man spins a large wheel in front of him. Late afternoon TV was hit or miss. There weren’t any good movies on, most of the shows were reruns, and Carly had no interest in watching the news. She kept flicking through channels until she came across one she hadn’t seen before. It had a logo she couldn’t recognize. She put the remote down for a moment as she shoveled a handful of popcorn into her mouth, a few kernels spilling onto her T-shirt. The skyline of a city at night. Sweeping orchestral music. A darkened building. Criminals breaking in, their path lit by moonlight. Suddenly, a shadow. They turn around, fearful. A dark figure swoops down and takes them out one at a time. She stands up after knocking the last thug down, her profile briefly illuminated by the moon, and then she’s gone. Carly’s mouth dropped open. It was Onyx, the superheroine she had created a year ago. How could that be? She leaned forward on the couch, eyes obscured by the reflection of the screen on her glasses. She knew this story. The Fearmongers, a mysterious group that wants to sow terror throughout the world. A plot involving a beloved public figure and a citywide celebration. The perfect occasion for panic. Unless Onyx can do something to stop it. She fights hard, faces her own fears, and triumphs. But the Fearmongers get away. She’ll get them. Next week. Same time. Carly’s hand landed on the remote by accident, changing channels. She swore and changed it back, but the channel was gone. She couldn’t find that strange logo again, and there was no trace of Onyx anywhere. She stared at the blank blue screen in confusion, trying to make sense of it all. In a flash, she was off the couch and running up to her room. She pulled her notebook out of her desk drawer and sat down to draw. She had a story to tell. 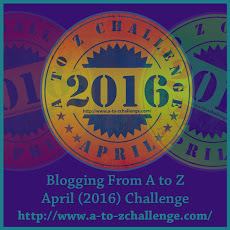 It’s hard to believe April’s behind us already, along with the A to Z Challenge! It was my second year participating, and I’m happy that I actually managed to stay on schedule this year (except for one minor delay). You attend the funeral of an old friend. Afterwards, in the mail you receive a postcard. It’s from the friend, and it reads “I’m not dead. Meet me Tuesday night at 8 at ____________.” And signed by him/her. First make a list of possibilities for how this could be the case. Begin your story with, or after, the arrival of the postcard. David Fairweather and I had been friends since high school. We sat together at lunch. We laughed at jokes nobody understood. We went on a double date on prom night. And somehow, despite the distance that separated us during our crazy college years, we managed to stay in touch. I was there at his wedding to congratulate him. And just two days ago, I was there at his funeral to console his widow. So when a postcard arrived this morning with David’s signature on it, I was surprised to say the least. Though not as surprised as when I read it. I spun the postcard in my hands over and over, my fingers tracing its sharp corners as my mind tried to make sense of it all. David Fairweather was dead. I read a goddamn eulogy at his funeral. Was it some sort of prank? A sick joke perpetrated by…I couldn’t even imagine who would be that twisted. I looked down at the postcard again. It was definitely David’s handwriting. I’d recognize that looping script anywhere. I’d seen it on so many postcards he’d sent from his trips. David loved to travel and, even more than that, he loved to document his travels. The last postcard he sent me was from somewhere in Nepal. He was trekking in the mountains and visited a monastery. Went on about some mystic mumbo jumbo. He always did love his tall tales. David just got back from Nepal a week ago, and then…the accident. The one that sent him to his next grim destination. Seemed only fitting he’d send a postcard from beyond the grave. Except the grave was empty, apparently. Who the hell did we bury then? It was a closed casket funeral because of the horrific injuries David had suffered in the accident. It hurt so much to say goodbye to my old friend without getting to see him for one last time. Was that all a ruse? A carefully orchestrated fake funeral? Why? There was only one way I was going to get any answers. On Tuesday, I went straight home after work. I put on a heavy overcoat, thankful that the weather was still brisk, and paired that with a scarf and the biggest pair of sunglasses I could find. I hoped it would be enough for David, or whoever wrote the postcard, not to recognize me right away. At 7:45, I was sitting at the bar counter with a beer in hand. I took a couple of small sips as I looked around. No familiar faces. No one that looked suspicious. Though in this case, I had no idea what ‘suspicious’ would even look like. At 8:05, I was already getting antsy, my beer half-drained. Most of the people in the bar were with friends. There were a few loners, but it didn’t look like they were waiting for anyone. No sign of David at all. By 8:20, I was convinced it had just been a very bad joke. Some bored jackass mocking a grieving man. I pulled out the postcard from my pocket. The handwriting. Would someone really go to the trouble of replicating it so precisely just for a laugh? 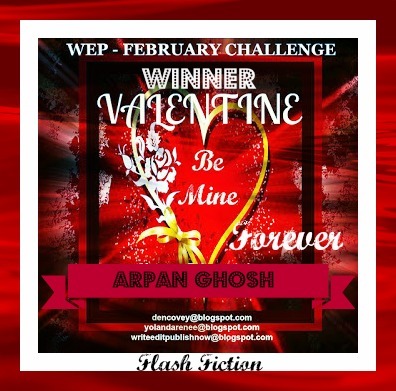 The voice sent a jolt up my spine, almost causing the card to slip out of my fingers. David was sitting on the stool next to me. Not somebody that looked like him. Not a guy with a bad makeup job or a mask. David. Looking very much not dead. I had no idea how to react to that, no idea what to say. There were so many questions running through my mind, begging to be asked. He motioned to the bartender, then turned back to me with a grin. The questions came pouring out of me as the relief over seeing Dave alive evaporated and was replaced by a cocktail of worry, fear and curiosity. He picked up the beer that the bartender plonked down in front of him and took a long sip. It started clicking into place. It still didn’t make any sense, and I could feel more questions trying to push their way past my lips. I gestured to the bartender. Zin looked down from the glowing monitor and made a note on the Labpad on his wrist. All the enclosures were secure. The specimens carried on as normal, oblivious to their captivity. Each specimen was the inhabitant of a different universe, an entirely separate dimension. They had been trapped into pocket universes that ran on a loop, like a video that restarted after ending. They were all so different, so fascinating to observe. There were 25 specimens in all, each identified by a letter of the human alphabet. Zin couldn’t remember why that system was chosen above other that were far more suited to categorization, but he had long ago learned to stop questioning such trivial details. He ran through the subject logs. Subject A was testing out his simulated city again, reprogramming certain quirks. Subject B had developed supernatural abilities that transformed her into something else. It was an intriguing development, though Zin was glad she used her new abilities to help others. Subject C’s ineptitude at his work was amusing. Zin would often play that loop again in his off hours. Subject D made Zin uncomfortable. There was a lot of darkness to her world and her life. Zin almost wished they had taken a larger slice of her life. He was intrigued by Subject E. Her story sounded familiar, but he hadn’t been able to find a record of her homeworld or species in the pandimensional archives. Subject F deeply unnerved him. Zin hoped that he could be terminated, but that wasn’t his decision to make. Subject G was confusing at first. The lack of color fascinated Zin, though not as much as when the colors finally bloomed in that world. He made a note to brush up on his Earth mythologies after observing Subject H. He had quite forgotten what those creatures were called. Zin couldn’t tolerate Subject I for long. He was reminded of a parasitic race that his own people had once contained when viewing Subject J. Though he was a detached observer, there was something about Subject K that brought many emotions to the fore. Zin missed his own family. Some days, he couldn’t even remember them and it frightened him. Subject L posed a dilemma. Were Zin’s people like the doctor in that world, conducting experiments that their subjects never consented to? He buoyed his spirits again by looking at Subject M’s report. She reminded him of Zela, his wife, in many ways. He made a note to save that report when the experiment was over. Even if he never saw his family again, at least he could keep that as a memory. Subject N brought a smile to his face. He needed that. Subject O’s journey was interesting. Zin wondered if any of her kind still existed in any universe. They were supposedly immortal, but time’s erosion could not truly be stopped. Subject P hit close to home. The leaders﻿ of Zin’s world had made compromises in the name of diplomacy and while he was glad of the overall results, he could never forget the lives that were lost along the way. Zin remembered Subject Q well. They had encountered each other once when the subject phased himself onto Zin’s ship for some nefarious purpose. He had managed to escape, but now Zin could study his methods more closely. Subject R posed an intriguing mystery and Zin was frustrated about not knowing more. That was a world he would have to revisit on his own time. The eerie silence of Subject S and her world reminded him too much of the emptiness on his ship. He scrolled past that part of the log fast. He remembered the chaos that was caused by Subject T and how it had almost caused a total universal collapse. It was fortunate that it had been handled without the intervention of galactic authorities. Zin liked Subject U. Her story was inspiring, and it made him proud to be a chronicler. Subject V’s containment was probably best for many people in the universe. Zin couldn’t help sigh with relief. Subject W was a truly odd case. Subject X had been the cause of much debate between Zin and his superiors They believed that ancient technology could be resurrected for the benefit of many, but Zin was forced to remind them how Subject X had wound up. At last Zin came to Subject Y. The monster. The hunter. Whatever it was. Zin didn’t like it. It deserved to be contained. With his observation complete, Zin logged out of the Labpad. The stars looked so beautiful outside, suspended in the darkness. Zin could not remember how long he had been out there in that station. He hadn’t run out of rations or fuel, so he must have been within the planned schedule. But it had been so long since he had any contact with anyone from his planet. So long that he had forgotten the original purpose of the containment experiment. For him, it had become his own private menagerie, full of living exhibits that he viewed at his leisure. It gave him some comfort during the long, lonely voyage. With a sigh, Zin tore his gaze from the stars and opened up the Labpad again. He tapped the file marked ‘Subject A’ and made his way through the logbook. It was just a game. At least, that’s what you believed at first. Hiding from my eyes, making me find you. Making me hunt. Don’t get me wrong, I had fun. It was a good game. But all games have to end, don’t they? How long could you possibly hide? I found you out eventually. Truth be told, I had discovered your location some time ago, but I didn’t go there right away. It was all part of the game. I wanted you to believe that you were still hidden. That you were safe. That just added to the fun. And when I was done enjoying myself, I ended it. I found you. And I changed you. Transformed you into a creature of myth, a nightmare. Now my time is done. You will find the hidden. You will hunt the fearful. You will play the game until it’s your turn to win. They called it Human Xerography: the process of imprinting the physical characteristics of one person onto another with the use of nano particles that could be molded around the human form. One person could become another’s exact duplicate without any messy surgery and with zero recovery time needed after the procedure. The process was initially developed for medical applications – patients with severe burns or scars could instantly revert back to their previous appearance and find peace of mind again. It was a boon for wounded soldiers, especially when combined with the process of limb regeneration. Other uses soon followed. It took only five years for the xerographs to become a common feature in hospitals and healthcare facilities. Even less time for it to end up on the black market for less altruistic purposes. Have a hot date? Want to make an impression? The xerograph could imprint the best features of any celebrity (or even your better looking friends) onto you. Brothels used the xerographs to alter the features of their girls to match their clients’ preferences. Anyone could be a supermodel for the right price. Like me, for example. I was just your average Joe, the kind of guy that nobody would give a second look if they passed by me on the street. I saved every penny I could to be able to afford a xerograph session. I chose the features I wanted from the available catalogs. A broader chin, thicker hair, a more chiseled torso. Just half an hour was all it took for me to be a new man. I enjoyed luxuries that were never available to me before. Women smiled at me and wanted to get my number. Some men too. Storekeepers, waiters, security guards all showed me more respect. I was treated like royalty simply for existing. But it wasn’t enough. I still found flaws. My chin wasn’t dimpled enough. There was still some flab on my sides. My nose was more crooked than I’d remembered. I took more money out of my savings. Had another session. Some more changes. Life got even better. I was flying high on my new looks. My nights were no longer lonely, and I couldn’t remember a time without companionship. I relished the jealous looks I got from other men, ones who looked just like I had before. Or did I look like that once? I couldn’t really remember. I threw out every reminder of my old, ugly life. That person never existed, as far as I was concerned. But even this life grew old. I needed a change. Something fresh. Something even better. Thanks to my new job, saving up wasn’t a problem anymore. I booked another xerograph session. This time, I opted for a completely new face, based on one I saw in the catalog. He was perfect. Just completely perfect. I wasn’t going to take bits and pieces anymore. I wanted to be him, this lantern-jawed specimen staring at me from a photograph. And soon, I was. Life really couldn’t get any better. I was soon to learn that it could only get worse. Days after my session, I was at one of the fanciest new restaurants in the city (there was a six-month long waiting list, but not for me) when I was approached by two men in black suits. They asked me to come with them, though I knew it wasn’t really a request. As it turned out, my new face belonged to a spy who had gone rogue and on the run. I tried explaining that it was a mistake, that I only looked like him because of xerography. But in a world where everyone lies about their face, why would anyone believe me? It’s not like I had any old photographs to prove my claims. And even those could be expert forgeries. There’s a long list of crimes associated with my name, or rather, with my face. I don’t know where the real spy is or what he looks like. Maybe he looks like the old me now. Maybe he gets the luxury of blending in with a crowd while my face gets displayed all around the world.